The UC Davis ranking is 33rd in the US and 37th in the world by the University Review College rankings. It is considered the 39th best in the US by the USNews. It is ranked as the 113th best college in USA by Forbes. The University of California, Davis tuition fees are $13,896 for in-state and $36,774 for out of state students. It is a selective college taking in 45.6% of applicants. Financial aid offered totals $282 million per year, an average of $19,700 per student. Requirements for SATs (25th-75th percentile) are Math 570 – 680, Reading 520 – 650, and writing 530 – 650. The overall SAT Scores range is from 1070 to 1320. The requirements for ACT (25th-75th percentile) are Composite 23 – 29, English 22 – 29, and Math 24 – 30. 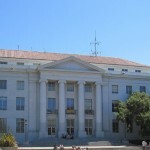 The University of California, Davis (UCD) is located in the USA and was founded in 1905 as a public institution having been proposed by Peter J. Shields. 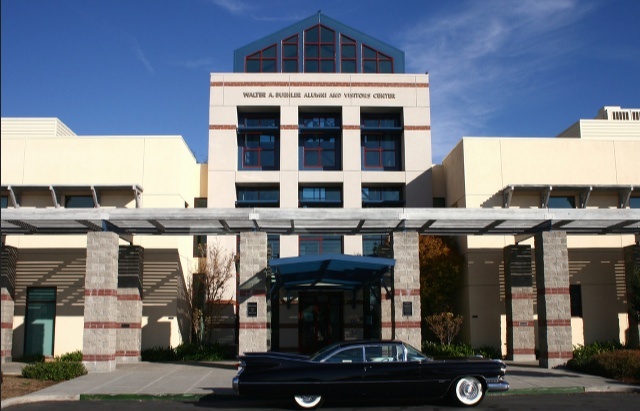 It is situated in a campus of around 5300 acres in the city of Davis in California. There are around 26,700 undergraduate students and approximately 7400 postgraduate scholars, in addition to the 2100 staff and faculty at UC Davis. UCD has an endowment of 651 million US dollars. The chancellor is Linda P.B. Katehi. The schools sports team is know as the Aggie’s. It is a member of the Big West sports Association. The Libraries at UC Davis contain around three and a half million bound volumes. 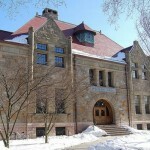 The largest of the libraries is called the Peter J. Shields Library. Photograph of the University of California at Davis by Prayitno. As a Public Ivy institution, the education offered is similar to found at places like University of Maryland College Park, Penn State, University of Virginia, and UNC Chapel Hill. Other colleges in California include Stanford, San Diego State, University of California Santa Cruz, UC Riverside, USC, UC Irvine, UC Santa Barbara, UC San Francisco, UC Los Angeles, UC San Diego, CalTech, and UC Berkeley.